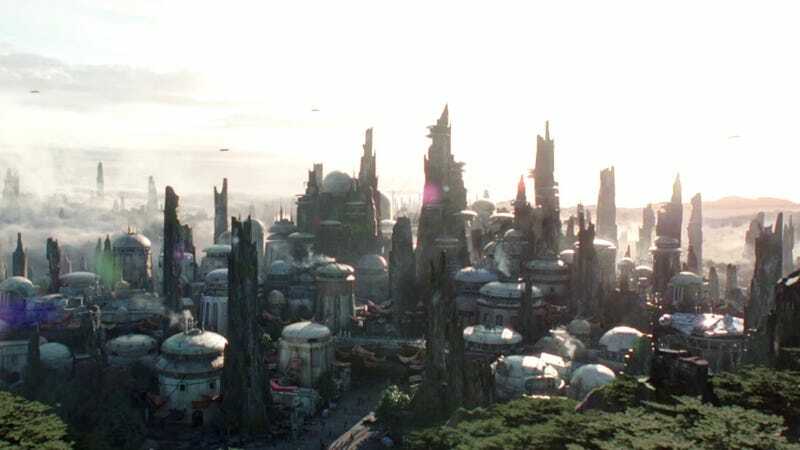 A new look at the upcoming Star Wars section of Disney theme parks. Opening day for Star Wars: Galaxy’s Edge at Disney theme parks in the US is getting closer and closer. First we heard it would be in 2019. Now, we know the seasons—and soon, we’ll have the specific dates. The news today, though, is that Disney revealed the new Star Wars-themed section of Disneyland in Anaheim, CA will open summer 2019, while the similar section of Hollywood Studios in Orlando, FL will open late fall 2019. Construction on both has been underway for some time, and with the progress fans can see happening daily at both parks on both coasts, it’s no real surprise California is opening before Florida, or that these are the seasons. It’s just nice to have it official. Next year will be a busy summer for Disney fans. There’s Star Wars Celebration Chicago in April, a likely Marvel Studios presence at San Diego Comic-Con in July, the D23 Expo in August, and now Galaxy’s Edge at Disneyland. 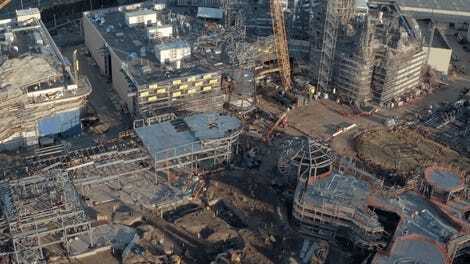 And though the specific dates have yet to be announced for Galaxy’s Edge, you can bet it will be sometime before or tied to the D23 Expo, just so fans attending that event will be able to see the new, highly anticipated section of the park. Read much, much more about the park in the links below.